1 What is Remita payment? 2 What is the meaning of Remita Retrieval Reference (RRR)? 3 What does the RRR stand for? 4 How do I generate a Remita number? 5 How do I generate a Remita Receipt after payment? 6 How do I make a Remita payment? 7 How do I pay with Remita online? 8 How do I Pay the Federal Government with REMITA? 9 How do I pay my Remita School Fees? 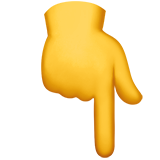 What does the RRR stand for? RRR is the short form or abbreviation for writing Remita Retrieval Reference. Remita is the most comprehensive way to make & receive electronic payments in Africa. Whether you intend to use Remita for personal or business purposes, this multi-device platform lets you view all your bank balances – from different banks – on a single screen, easily transfer money to one or more beneficiaries, pay bills, view detailed transaction reports on-the-go, and much more. How do I generate a Remita number? How do I generate a Remita Receipt after payment? Click on Resend Receipt/Invoice: A new windows opens. Enter your RRR in the box provided and press Submit: Your receipt should be sent to the email you registered with. How do I make a Remita payment? Select Pay Federal Government of Nigeria. Type the name of the MDA from the “Name of MDA” field. How do I pay with Remita online? At Your Bank Internet Site, Select Remita Payments. Visit Selected Micro Finance Banks. 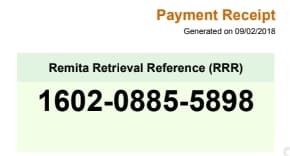 How do I Pay the Federal Government with REMITA? 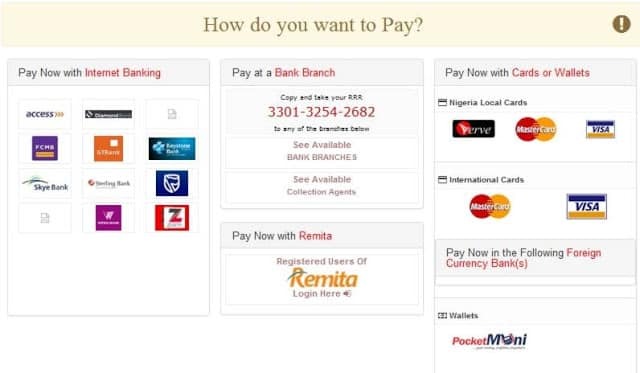 Now, with Remita, making payments to the Federal Government has become easy. Besides being able to pay at bank branches all over Nigeria, you can also make payments online to any federal government MDA. To pay with Internet Bank, click preferred bank’s icon and follow the directive. To pay at Bank Branch, copy your RRR number, and take to your most preferred bank. To pay with Card or Wallet, click preferred bank’s icon and follow the directive. How do I pay my Remita School Fees? Remita School Fees – Pay at a Bank Branch. If you want to pay the money at any bank branch, simply print the transaction receipt or copy the RRR code to your bank and pay the required amount. Remita School Fees -Pay Now with Mastercard or Visa. I am a new remita user introduced by Federal Ministry of Environment, headquarters, Abuja. What would I do to be issued Remita Retrieval Reference (RRR) code?